Guest post by Joost D.
When asked about my favorite hand pruner – I was almost afraid to open up. Not that I had any hesitation mind you, but because when it comes to discussing their favorite pruner, there are many gardeners who are going to defend the honor of their favorite brand. 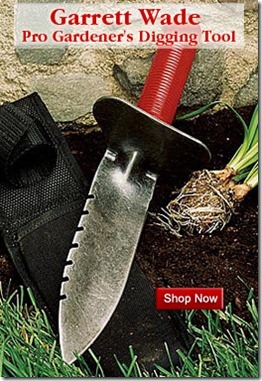 I consider my Bahco PX-M2-L (there, now I feel relieved) my favorite gardening tool ever. Bahco is a little-known European brand (the pruners are manufactured in France) that is slowly but surely becoming more popular amongst gardening enthusiasts. The reason that it is becoming more popular is not because of a massive advertising budget, but because of excellent word-of-mouth. There are a number of different reasons that I love my Bahco PX-M2, but the primary one is because it has amazing ergonomic design. Before I discovered the Bahco pruner, I had been using other brands for years. I always had to deal with those annoying hand cramps, the type of cramp that minimizes the amount of force you can apply. When you first take the Bahco PX-M2 in your hand, you instantly notice that the above-average price is there for a reason. It is obvious that these pruners are made for professional use. I have been in the garden for hours and have not had much issue with strain or soreness. The pruner itself is not much to look at from an aesthetic point, but it does fit into the contours of your hand. 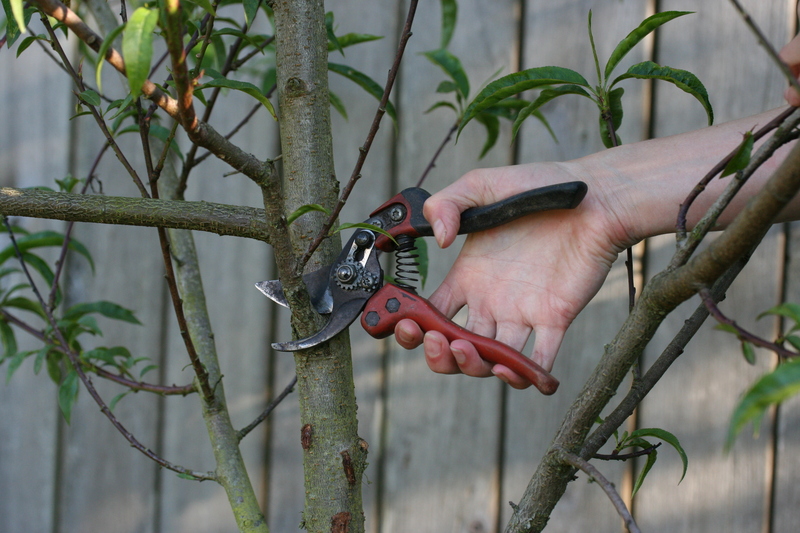 This means that you are not putting pressure on one specific area of the hand when pruning. You have your wrist in a neutral position at all times because the blade goes straight down. I love the fact that the Bahco ERGO line is customizable to your needs. You would not believe how frustrating it is to have to use right-handed pruners as a lefty. It does not matter if you are right-handed with small hands (PX-S2), right-handed with large hands (PX-L2), left-handed (PX-M2-L), or want a version with rolling handles for repetitive pruning work, it is possible to choose the handle type and blade size that is right for you. (The last number on the model number refers to the blade size, so a PX-M1 has a small blade for light pruning like deadheading roses, a PX-M2 has a medium blade for general use, and a PX-M3 has a large blade for more lopper-like action, but can cause strain on your wrists if not used with caution). Even though it is a minimal addition, I really love the sap groove on the Bahco PX-M2. This little inlet on the blade keeps the sap away from the blade as much as possible. This ensures that the blade stays cleaner… longer. Not only does that just cut down on the overall mess, but I also do not have to worry about constantly stopping to clean my pruners. There is nothing more frustrating than ‘getting in the zone’ and having to clean the blade all the time. I find that I need to sharpen the blades about once a week if I use them regularly, in contrast to my old Coronas which got nicked constantly and needed frequent tuneups. Even though I love my Bahco PX-M2, there is a design flaw in them that is rather frustrating. The clasping mechanism does not work as well as I would like, especially because it tends to become clogged with sap or grit. This makes it tough to close. However, there’s a trick to using them that I recently discovered: squeeze the handles before trying to clasp or unclasp them. This releases the clasp and makes it much easier to use. If you only use your pruners an hour a week or less, you might balk at the price at first. However, if you use a pruner regularly, you will see why this is becoming such a popular choice for landscape professionals, agricultural professionals like in the vineyards or propagation nurseries, and gardening enthusiasts alike. 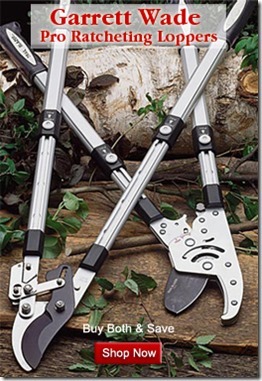 If you do not have a quality pair of pruners yet, make sure that you save yourself some hand cramps and frustration – get a pair of quality pruners. Even though there are cheaper alternatives on the market, these often made my hands hurt, fell apart, or made garden work feel like a struggle. Well, I just bought a pair of Bahcos, and they do cut through thick branches with ease, but the spring already popped off (which I can’t find) and prior to that, every cut the branches would get caught and I’d have to force it back open. I lost my Felco #2–still like the feel and weight of them better, so for me Felco is still my fav!